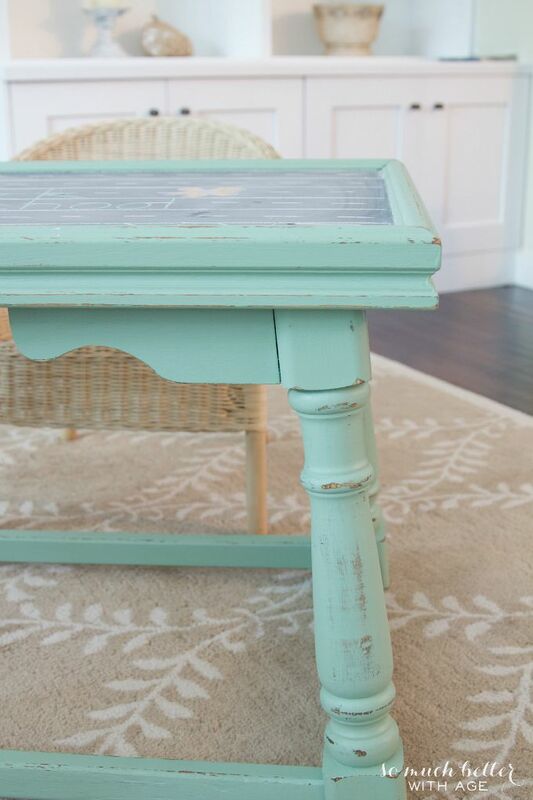 If you have an old ugly coffee table that you don’t know what to do with, I can show you how to transform it into a kids’ play table. 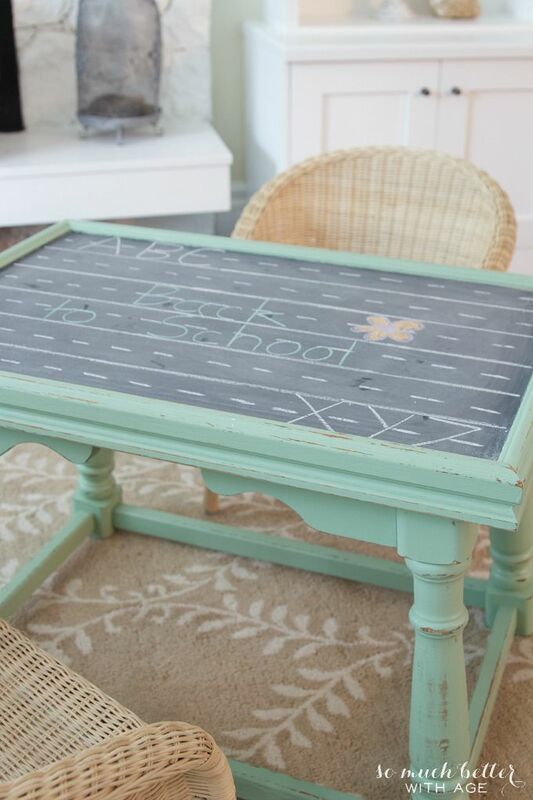 This ugly coffee table most people would pass on but I saw a table for the kids to use. I managed to even pull the whole look together with some wicker chairs! 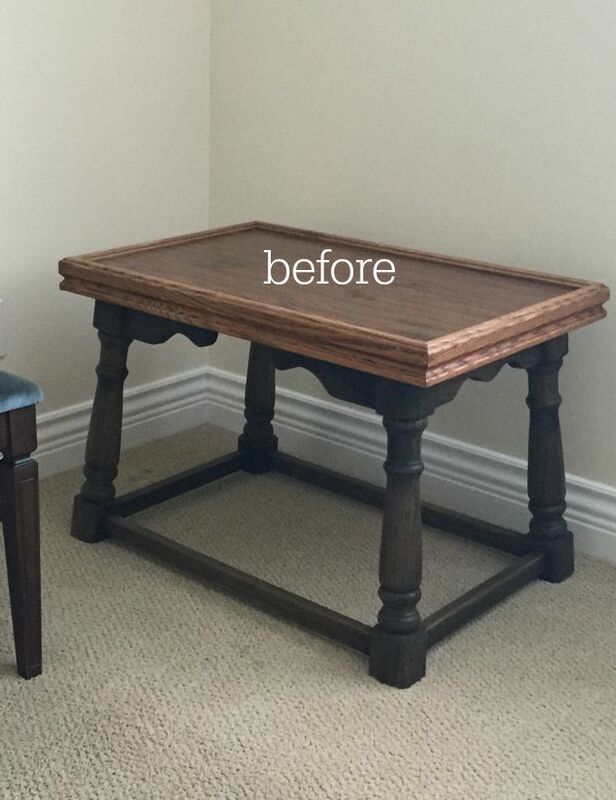 This is how I turned an ugly coffee table into a kids’ play table. Here is said ugly coffee table. Perfect for kids because it was not very tall and very sturdy. 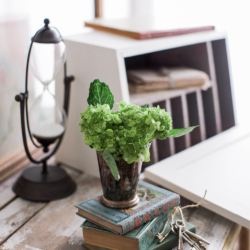 The base was made of solid wood. Definitely someone’s DIY project once upon a time. Also, the best part in fact, was that it had a raised edge all around the top of it. Another best part?? All I did was paint it! 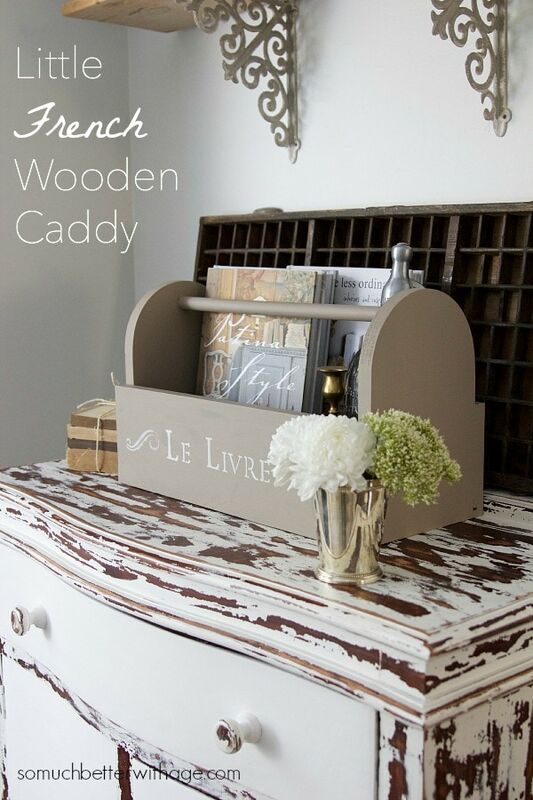 I used Lily Pond by Fusion Mineral Paint. 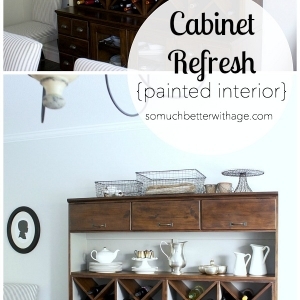 It’s acrylic but goes on and distresses like chalk paint. 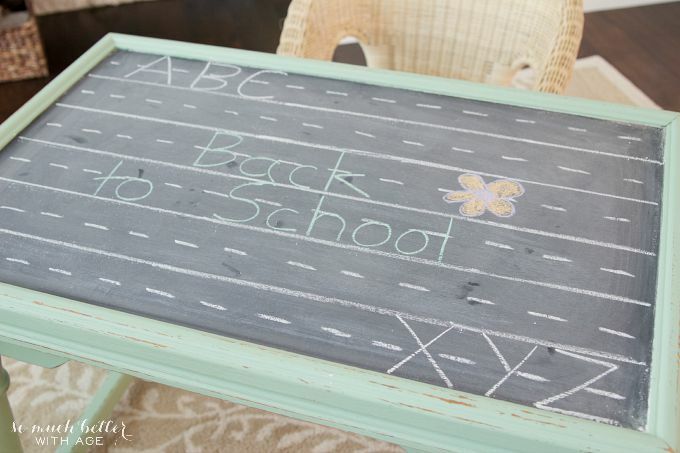 I painted the top with chalkboard paint. 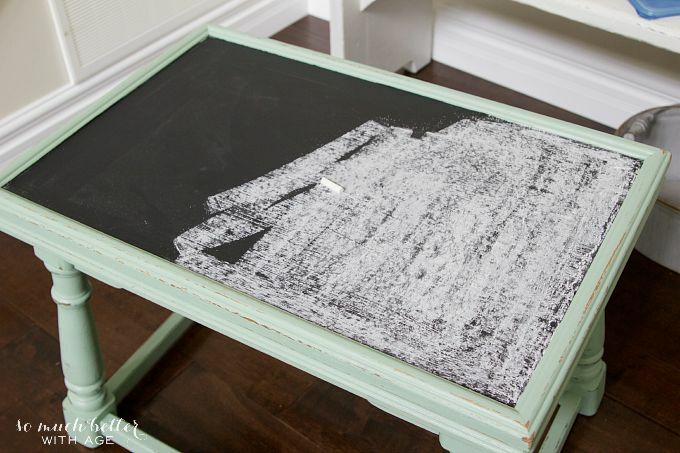 Make sure to ‘season’ the chalkboard paint by chalking the entire top and wiping off. Now it’s all ready for homework! I love these wicker chairs from Ikea. Both kids can sit here at the same time. I am normally a very neutral person, all creams, whites and greys but this colour was just too cute to pass up. 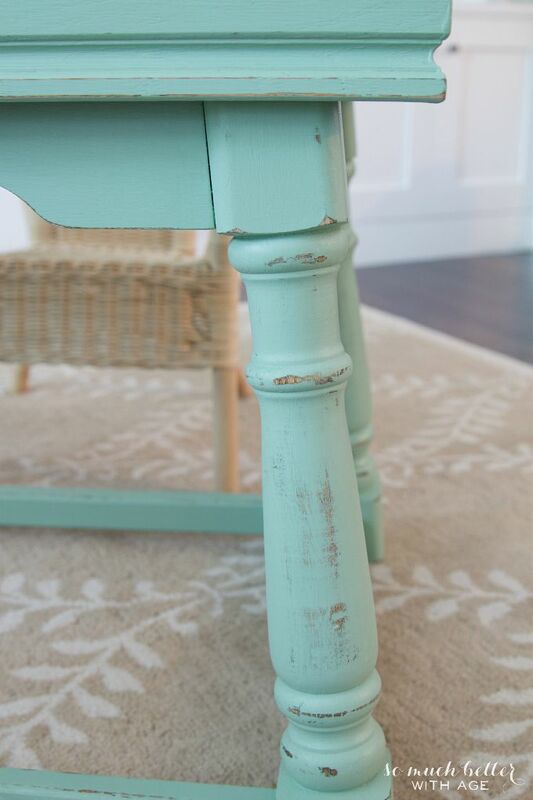 And the distressed edges and legs give it that vintage look that I just love. 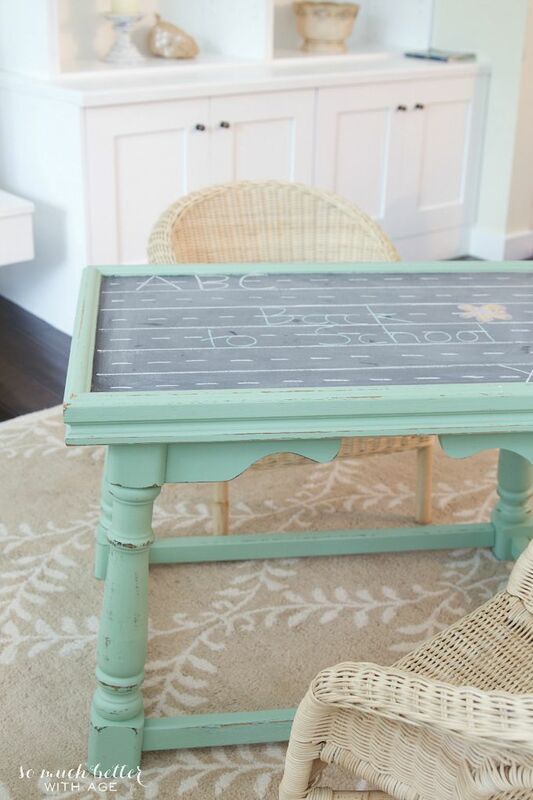 Perfect for practicing letter writing on the chalkboard, doing homework, playing with Lego pieces (my nemesis!). The edges would keep those little pieces in control. 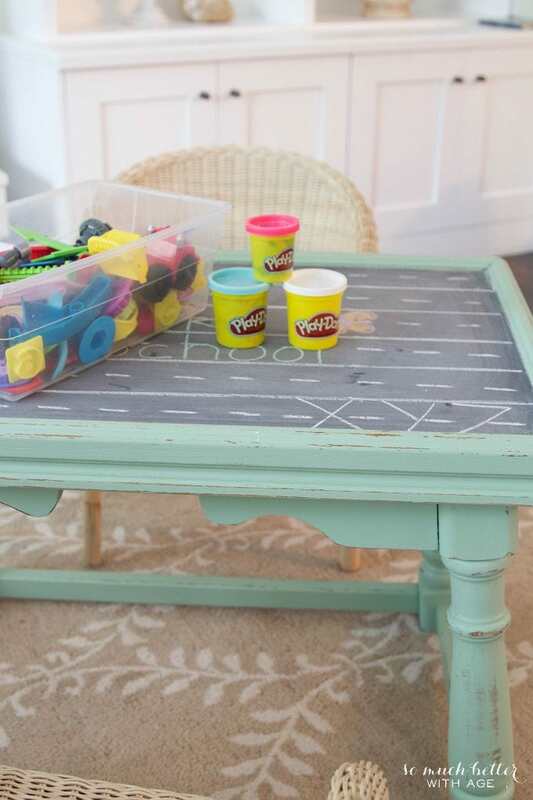 Perfect for play dough too. I’m quite happy with this little thrift store find. 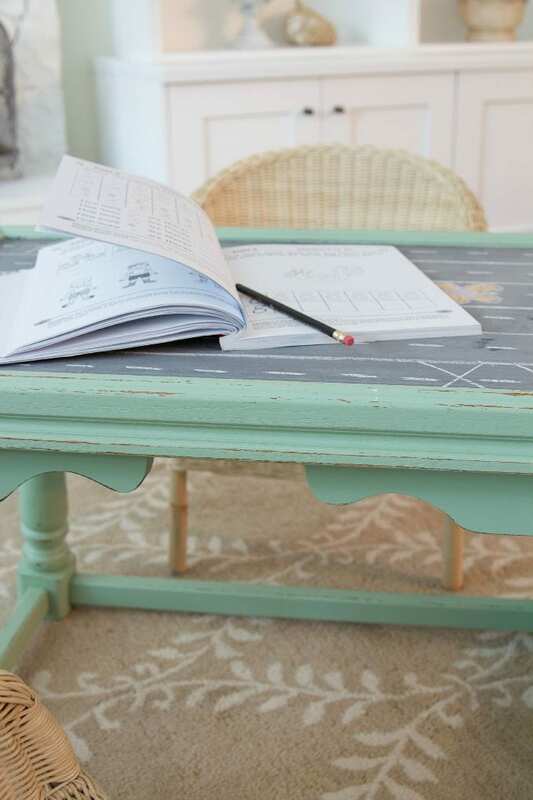 Next time you find some ugly piece of cheap or free furniture, think of how you could repurpose it into something for the kids! Thanks Lisa. 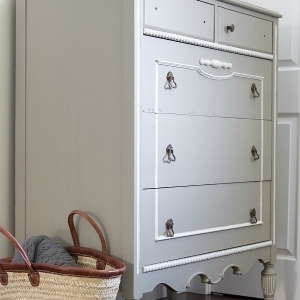 I’m loving Fusion Mineral paint too. Especially the fun colours. 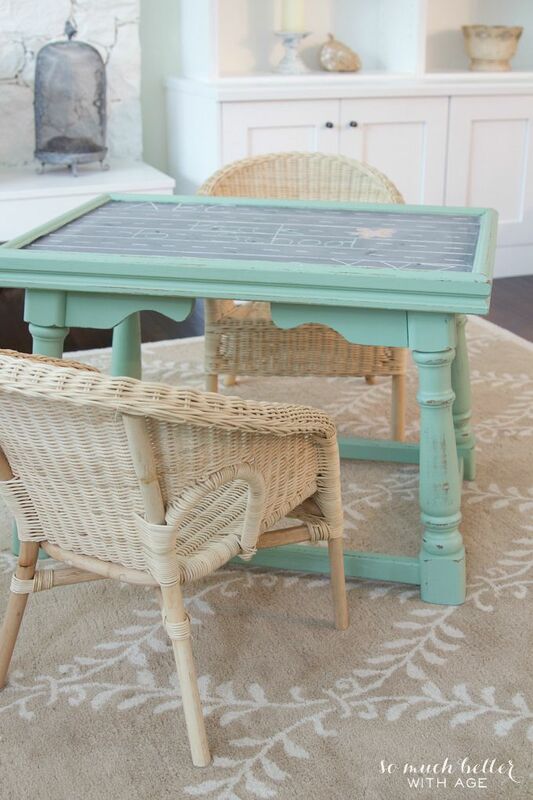 love the table!! SO cool! Beautiful! I love it. It looks amazing. Love this idea Jamie. 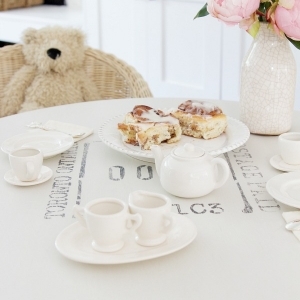 So cute and so practical for the little ones. Well done! Oh, it’s adorable! I’m sure your kids have lots of fun there. Love the color!